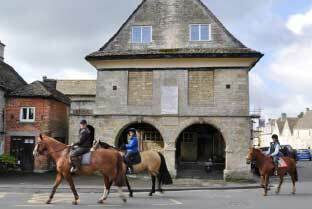 With 400 years of serving the community, our Market House in Minchinhampton is now proudly owned, run and enjoyed by the community. Minchinhampton Country Market every Thursday morning. Fresh veg and plump fruit on show… and for sale – the perfect opportunity to buy healthy, local fayre. The ideal setting for weddings, formal dinners and corporate events. With a sound system, lighting rig and stage, the Market House is the perfect setting for any event. BOOK EVENT TICKETS ONLINE! See Events and Booking section below. A booking fee applies to cover handling and postage. 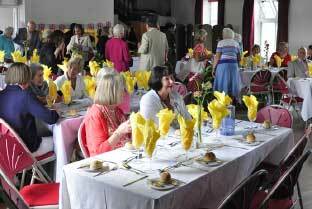 The beautiful Hall is a wonderful setting for that private party, exhibition, dinner, dance or drama. Just a stone’s throw from the Parish Church, this historic building could provide an excellent venue for your wedding reception – making it a really memorable day. It’s reasonably priced as well, with negotiable rates for block bookings. Please see the Bookings Page for Hire and Contact details. It's that easy to make your event a date to remember.